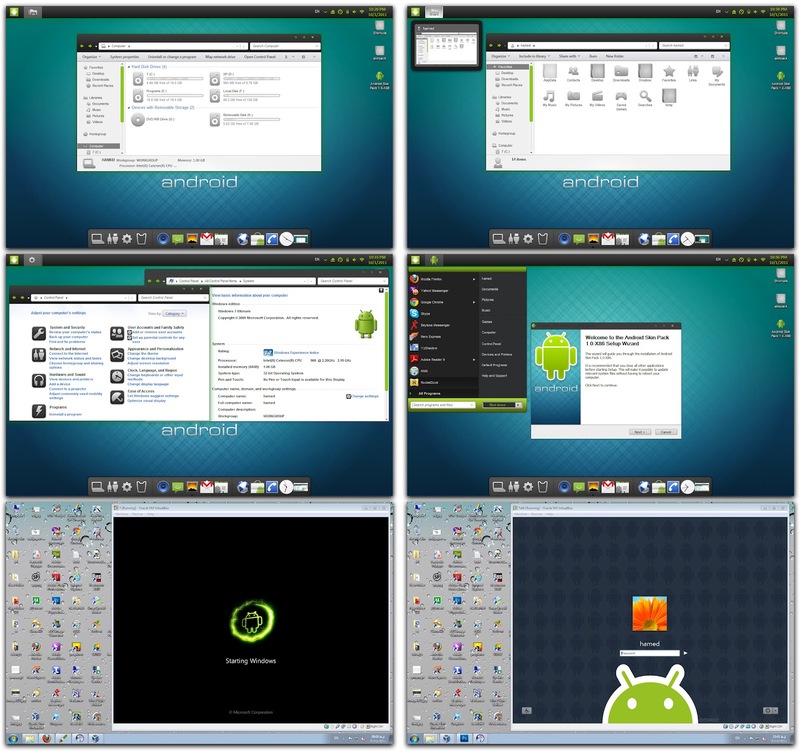 Android Gingerbread Skin Transformation Pack for Windows | Kanishk's Technical Blog. 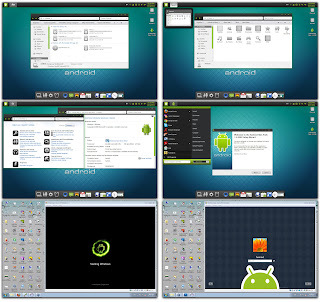 Earlier I wrote about Android Skin Transformation Pack For Windows 7.Today,I'll tell you about Another earlier version of Android Operating Systems which is Android Gingerbread. Given Below is a Short Description of The Android Gingerbread Operating System. You can Find the Download link for Android Gingerbread Skin Transformation Pack at the end of this post. Gingerbread is the dessert-themed Android codename for the version 2.3 update of the open source Android mobile operating system. Gingerbread made its debut in December 2010 for a variety of smartphones, introducing Google Voice over Wi-Fi, enhanced gaming functionality and improved Google Apps. Gingerbread followed several earlier updates for Android – Cupcake (v1.5),Donut (v1.6), Eclair (v2.0) and FroYo (v2.2) – and has since been superseded by a more recent Android update, Honeycomb (v3.0), with an upcoming Ice Cream Sandwich (v4.0) update currently in development. Open the Image in a New tab or Save it to your Computer to See it clearly. Now,The Download Link for Android Gingerbread Skin Transformation Pack. NOTE: The Given below Download Links are Online Installers and therefore, they require time to be downloaded.Because I can't find offline installers I am giving you Online Installers. For Windows 32-Bit - Download. For Windows 64-Bit - Download.